Septimius Severus, AD 193 to 211, Silver denarius. Full Strike. Size : 19.2 x 19.9 mm. Weight : 3.26 grams. Grade : VF on a broad flan with full inscriptions and nearly full beaded borders. 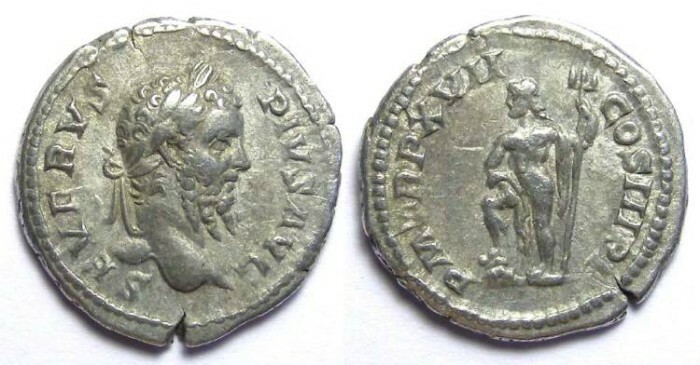 Reverse : Neptune standing left with his foot on a rock, holding a trident, with P M TR P XVII COS III P P around.